Not even Theresa May claims that the deal her negotiators have achieved with Brussels over the terms of Britain’s departure from the European Union (EU) is a perfect one. However, rejecting the draft withdrawal agreement would lead to economical chaos and geopolitical instability. A few thoughts by hbpa-owner Hans Bellstedt. Not even Theresa May claims that the deal her negotiators have achieved with Brussels over the terms of Britain’s departure from the European Union (EU) is a perfect one. At least for another while, the UK will have to obey the rules of the Single Market without having a further say in it. And it will be unable to take the ultimate decision to leave the Customs Union unilaterally. Meanwhile, London gains no immediate right to strike independent trade agreements with other countries. As a consequence, it seems almost impossible for the British Prime Minister to obtain full approval by the House of Commons for the document agreed on November 13th between the UK and EU chief negotiator Michel Barnier. Rather, her opponents believe that the moment has come to topple Ms. May through either the inner-party “1922 Committee”-mechanism or a vote of (non-)confidence in Parliament. For the time being, the Brexiteers seem unstoppable in their attempt to bring down their party and government chief. What they fail to appreciate, however, is that the withdrawal agreement contains a couple of elements that do very well pay into the “Leave” account. Once out of the EU (and once the divorce bill worth close to 40 bn Euro is settled), the UK will contribute considerably less to the EU budget than nowadays. The UK regains control over immigration in the sense that the current freedom of movement is substituted by a skills-based immigration regime. Last, but certainly not least, the bulk of legislation imposed on the House of Commons by the EU institutions will see a significant decrease. The core achievement of the EU-UK agreement, then, lies in its capacity to maintain peace between Northern Ireland and the Republic of Ireland. One must surely not underestimate the extent to which Britain as a whole is still traumatized by a civil war – the so-called “troubles” - that left more than three thousand dead. Whilst dreaming of a “Global Britain”, the Brexiteers seem to have overlooked entirely that (a) the Irish question would turn out to be the toughest nut to crack in the negotiating process and (b) a fairly high price – e.g. staying in the Customs Union for an indefinite period of time - would have to be paid to avoid the resurrection of a hard border. There is no free lunch. But does this flaw (from a Brexiteer’s point of view) give Theresa May’s opponents the right to sabotage the achieved agreement? And if so, to what end? To believe that the current deal can be untied is illusionary. Not only Michel Barnier but especially Angela Merkel (“no cherry picking”) have made it clear that there is no room for renegotiation. In a moment of rare unity among EU member states, London’s road back to Brussels is blocked. Meanwhile, neither a second referendum nor general elections could possibly be in the Brexiteers’ serious interest: While the public vote might lead to an exit from the Brexit, general elections could well result in Labour leader Jeremy Corbyn replacing Theresa May at Downing Street No. 10 – a scenario that would drive British businesses, the City of London (and many a donor of the Conservative party) to anger and desperation. Having said this, it is not at all absurd to predict that voting down the agreement in Parliament would see the UK leaving the European Union, on March 29th next year, with no deal at all. My personal hope is that not only Jacob Rees-Mogg or Boris Johnson, but also Labour, the Democratic Unionists Party (DUP, of which Theresa May’s slight majority in the House of Commons depends) and the Scottish Nationalists are aware of the political and economic nightmare a no-deal scenario would trigger: Economically, the UK would end up in full chaos, with production chains cut and food and medicine supplies interrupted. Foreign direct investments into British companies would further decline, while the British Pound is likely to plummet, driving import prices steeply upwards. Rising unemployment will be unavoidable, strengthening populism and xenophobia in return. An uncontrolled exit from the EU would create dangerous effects from a geopolitical perspective as well. The signal sent to the Trumps, the Putins and the Xis of this world would be that the EU is unable to manage the departure of a member state in a smooth and orderly manner. Perceived from Washington, Moscow or Bejing, the schism between the EU and Europe’s strongest-but-one economy - a permanent member of the UN security council and a serious contender in defence and intelligence matters – would be served literally at no charge. Thus, rather than torpedoing Theresa May’s offer, Brexiteers should do what they have inexcuseably missed doing while spreading their “Leave” narrative: designing a clear picture of Britain’s future relationship with continental Europe. Among the models discussed to follow the transition period, “Norway for now” seems to be the most reasonable (reference). Being a member of the European Economic Area (EEA) would allow the UK considerable access to the Common Market while entitling London to negotiate trade agreements with other countries. EEA membership may involve some payments to Brussels, but certainly less than those of a full EU member. Finally, the Norway model would leave the path open towards an even looser, Canada-style trade arrangement with the EU. It will take years, maybe more than a decade, to get there. But embarking on such a journey will be a hundred times more sane than driving Britain into the abyss. 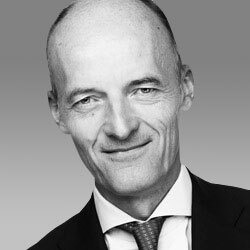 ist Gründer und Geschäftsführender Gesellschafter der Hans Bellstedt Public Affairs GmbH. Bis Ende 2007 leitete er die 1999 von ihm gemeinsam mit Scholz & Friends gegründete Kommunikationsagentur Plato GmbH. Bellstedt war zuvor Mitarbeiter von Karl Lamers, MdB (1990-1991), Büroleiter von DIHT-Präsident Hans-Peter Stihl (1992-1995) sowie Referent für Vorstandspublikationen bei der ABB Asea Brown Boveri AG. Auf dem hbpa- -Profil können Sie den Beitrag kommentieren oder sich der offenen Diskussion anschließen.